Who knows what a ‘wren’ is or ‘heather’? A ‘heron’ or ‘fern’? These words are what the author, Robert Macfarlane, has deemed,’lost words’ as they no longer words/names which we know and use on a daily basis. He’s believes that because we don’t know these words, we will not care about them. SO, we decided to learn how to use them again. 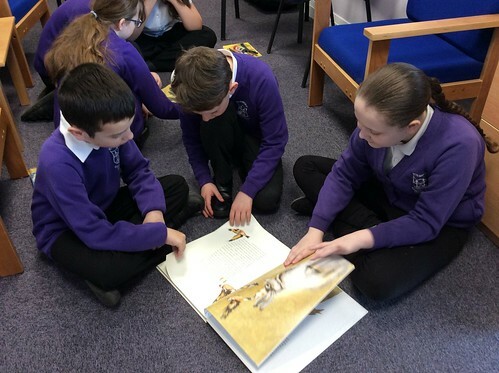 Using his wonderful book – The Lost Words – a group of year 5 children have not only shared the ‘spells’ which he has crafted, but we’ve used them as inspiration for our own poems. These poems are a work-in-progress, but click on the image below and take a peek at what we’ve been up to…enjoy Honey’s efforts: a poem about ‘starlings’. We’ll upload the rest when we’ve finished knitting together our ideas.